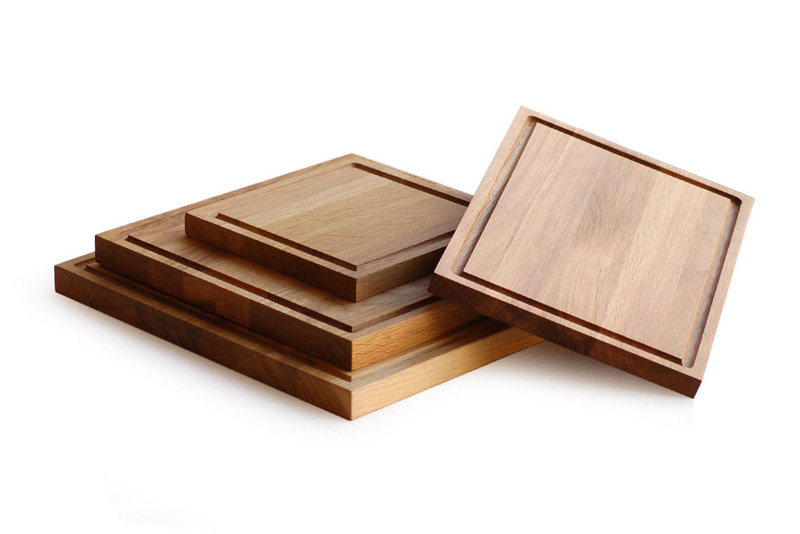 A collection of Oak boards designed to present hot food. Each board includes a draining ridge to collect running juices and the steak board includes a draining pool. The oak has a naturally high oil content which helps to protect the material from staining or drying out.